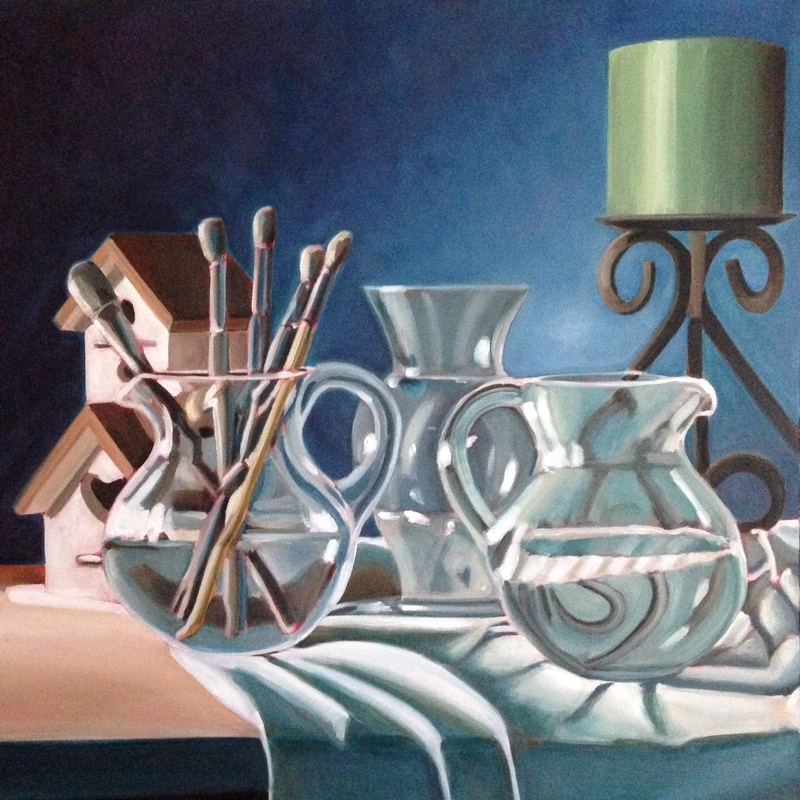 With this still life, I opted to go a more traditional composition route. I usually don’t care for this more static approach and probably won’t go down this path again. Not that its wrong, I just don’t prefer this type of presentation of the subject matter. I think when you crop portions of the still life off the edge of the picture plain it creates more tension or movement to the painting. The next one will be much more “close cropped” of the objects.